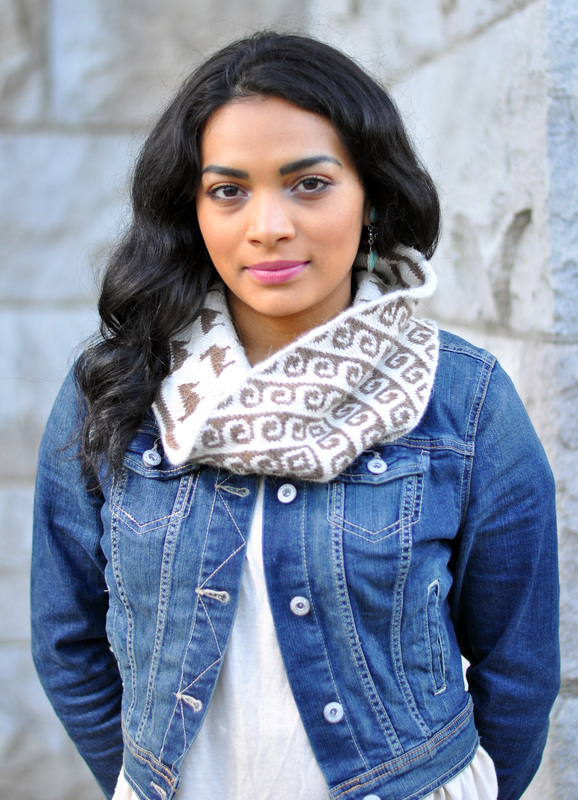 Designed in collaboration with Fibras Andinas, the outside of the Aymara cowl borrows a motif found on a traditional awayu (a woven Andean textile used by men and women to carry goods, or for shelter from the weather). The inside is covered in adorable (and also traditional) llamas! The pattern is available in English and Spanish, and requires 4 skeins of Royal Llama (sport weight), 2 each of two colors, which can be purchased at Darn Good Yarn HERE. More information about Fibras Andinas and their efforts to improve trade and the impoverished quality of life of the Andean llama, alpaca, guanaco and vicuña herders can be found HERE.